Tropical Storm Joaquin has developed out in the western Atlantic Ocean today. Tonight, Joaquin is showing excellent storm structure on the satellite view. Top sustained winds as of 5:00 PM today were at 65 MPH. The movement of Joaquin currently is very little if any. 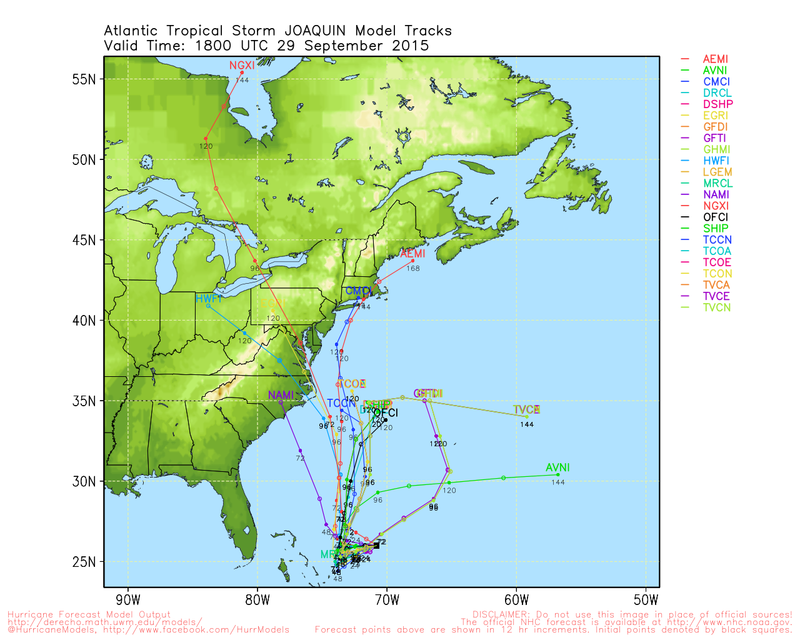 As seen here by the forecast model tracks, Joaquin has high potential for impact along the United States East Coast within the next four to five days. Residents along the Eastern U.S. Atlantic Coast from North Carolina all the way up to Boston and New York City need to monitor further developments on the movement of Joaquin in the next several days. It is vitally important to look back at tropical systems in the past to help paint the picture for a current tropical system. 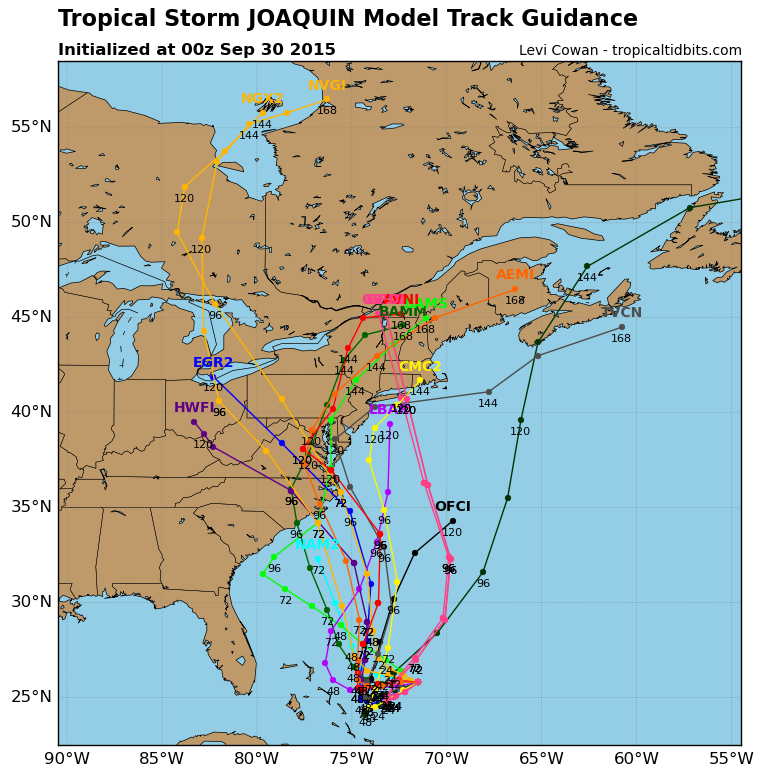 Tropical Weather History tells us in this instance that systems that were in a similar location to where Joaquin is now affected many locations along the East Coast. 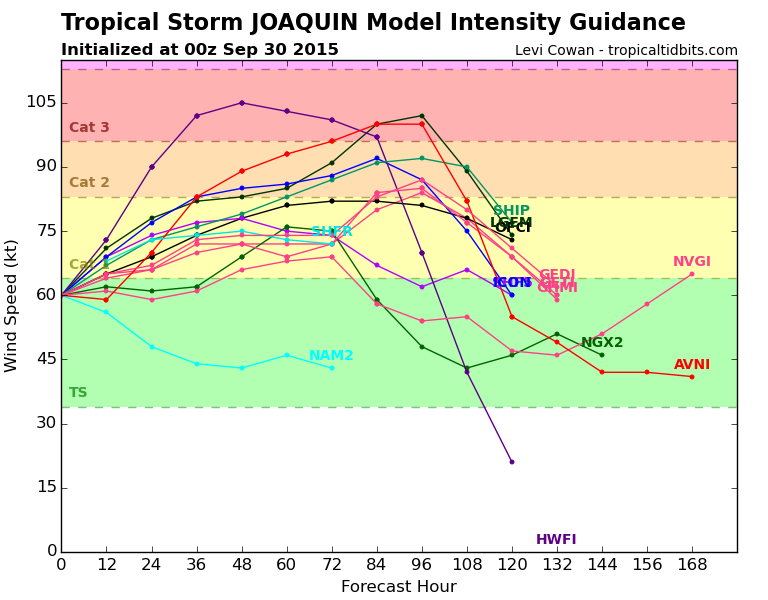 Most of the model intensity guidance do indicate high potential of Joaquin developing into a hurricane. Some of the models ramp Joaquin up to Major Hurricane Status (Category three or higher) within the next three to four days. 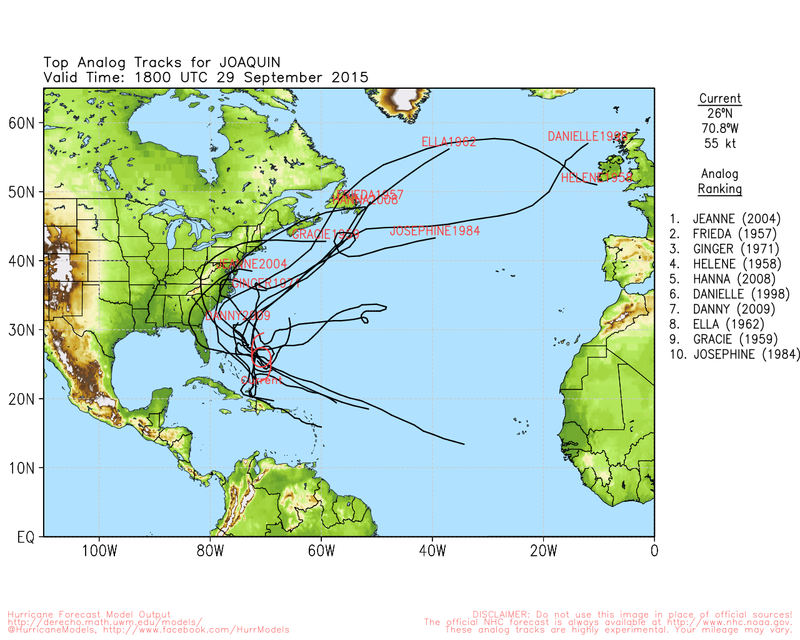 Joaquin has the distinct possibility of wreaking havoc along the U.S. East Coast in the next several days. I will say this once again, interests from North Carolina up to the Boston and New York City areas need to keep track of Tropical Storm Joaquin in the next several days. We will keep you up to date with the latest here on the Weather or Knot blog. Posted on September 29, 2015, in Uncategorized. Bookmark the permalink. Leave a comment.